Ashford University is approved to offer VA education benefits through the Arizona State Approving Agency. With this approval, Ashford is also eligible to offer Tuition Assistance benefits. Our University has an unwavering commitment to serve our military and veteran students by providing them with affordable, accessible, high-quality educational opportunities - it is at the heart of Ashford University’s educational mission. We’re proud of the environment we’ve created to meet the unique needs of non-traditional students, including Active Duty military students, Reservists, and their families, as well as student veterans who are continuing their education after retiring from military service. News articles and statements from various sources have created some confusion for our military and veteran student communities and related stakeholders who care about these students. This site will give you the facts. We are working hard to ensure that those who have sacrificed to serve our country are not penalized by having their educational goals unfairly disrupted or unnecessarily placed on hold. Ashford University is a regionally accredited online university offering associate, bachelor’s, master’s, and doctoral degrees. Ashford’s flexible schedule is ideally suited to the unique needs of student veterans and those affiliated with the military. Student veterans report high levels of satisfaction with their experience at Ashford University. Our new student survey respondents indicate that 95% of military-affiliated students would recommend Ashford to others seeking a degree. We are very proud of the fact that many of our military and veteran students come to us through word of mouth. 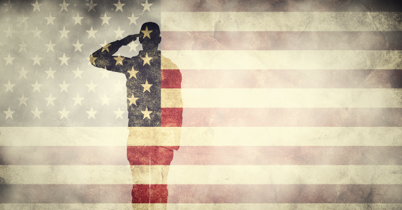 Some of Ashford University’s largest service projects have been to support veteran-specific charities, such as Support the Enlisted Project (STEP), Warrior Foundation, and National Veterans Transition Services (REBOOT). For the past nine years, we have awarded five Homefront Heroes full-tuition scholarships to military spouses each year, for a total of 45 scholarships. The CHAMPS peer mentoring program matches student veterans with a student mentor that understands the challenges unique to the veteran population. Ashford University participates in state and regional Advisory Councils for Military Education (ACME) organizations and conferences, and is a member of the annual Council of Colleges for Military Education (CCME) conference. 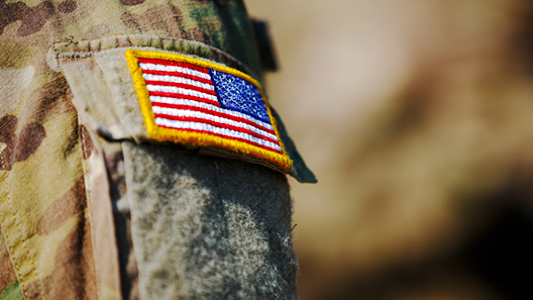 Ashford University has a dedicated and specialized support staff for our military students made up of many former service members who bring their own experiences to the role, and who understand first-hand the unique needs of our veteran and military students. We pride ourselves on helping these brave men and women make the most of the present while planning for their futures. Is Ashford University approved to receive GI Bill funds for education? Yes. Ashford University is approved to offer VA education benefits through the Arizona State Approving Agency. Ashford University is approved to offer VA education benefits through the Arizona State Approving Agency. Because we are eligible to offer VA benefits, Ashford University students are eligible for Tuition Assistance (TA). To allow military and veteran students to use their GI Bill education benefits, colleges and universities need to be approved through a state approving agency. While this requirement is straightforward for physical universities with a main campus in one location who serve students geographically located around that main campus, it is a more complicated analysis for online schools like Ashford University that offer a unique, globally-available university experience. In September 2017, Ashford University received approval to offer VA education benefits from the Arizona State Approving Agency (Arizona SAA), which was then accepted by the VA. However, on November 9, 2017, the VA changed its position, and told Ashford University that the Arizona SAA had not provided sufficient evidence to establish that it has jurisdictional authority over Ashford’s online programs. Ashford University strongly disagrees with the VA’s interpretation of the relevant regulations. The regulations the VA relies on are outdated and inappropriately applied to Ashford Universities situation. There is a general consensus that current VA regulations are outdated. They were written during the “brick and mortar” era of higher education, and did not anticipate the emergence of online institutions such as Ashford University, where students, faculty, and facilities are geographically distributed and virtual. Congress has been clear that authority to oversee and approve educational programs is delegated to state officials, and that the VA is prohibited from interfering with that authority. In approving Ashford University, Arizona took all appropriate actions, followed correct procedures, and acted within the authority clearly delegated to the states by Congress. The VA inappropriately infringed on the State of Arizona’s authority to administer approval of veterans’ education benefits. This is an unprecedented federal encroachment that stands in stark opposition to the decades-long legacy of federalism in the GI Bill. We continue to work with the VA to resolve this matter. To be clear, this matter has nothing to do with the academic quality of our programs—which are not in question—or the value of what Ashford University provides to our military and veteran students. Ashford University has a dedicated and specialized support staff for our military students, made up of many former service members who bring their own experiences to the role, and who understand first-hand the unique needs of our veteran and military students. We pride ourselves on helping these brave men and women make the most of the present while planning for their futures. In fact, more than 5,000 veterans, military service members, students, and supporters signed a recent online petition urging the Department of Veterans Affairs (VA) to allow veterans to choose Ashford University for their education. How many current students at Ashford University are affiliated with the military? As of January 19, 2019, the number of Ashford University students who affiliate with the military, including veterans, active duty and family members, make up about 27% of our students. Those using all chapters of GI Bill benefits are about 10% of our total enrollment. What is the graduation rate for students using GI Bill benefits at Ashford University? The graduation rate for the most recent group of students using GI Bill benefits is 31%. This rate is very much in line with graduation rates of all 4-year institutions with open admissions policies (32%), according to the US Department of Education. Perhaps even more important is the fact that Ashford University’s course schedules allow students the flexibility to take a break without losing any credits when they return and restart their program. Our deployed military students especially appreciate this flexibility, because when circumstances require they halt their studies for a time, they can return to Ashford and pick up where they left off, without losing any progress. Ashford’s flexible schedule allows them to restart their program when they’re ready—much easier than at a traditional school where classes start only a few times a year. Is Ashford University in compliance with 90/10 regulations? Yes. Ashford University has always operated within the 90/10 regulations. We currently estimate that students using GI Bill benefits will generate approximately 7% of Ashford’s revenue during fiscal 2018. Even if, for some unfortunate reason, we were unable to continue to serve our students who use VA and TA education benefits, we would still be in compliance with the 90/10 regulations. Do military and veteran students receive additional financial support at Ashford besides GI Bill benefits? Yes. We are committed to our student veterans having access to an affordable, quality education, and so to support that goal Ashford University provides them with grants, waives textbook fees and technology fees, and does not charge sales tax in applicable states. Do you know about the Ashford Promise? All entering Ashford University students, including student veterans, attend the first three weeks of their first course using a no-risk trial period called the Ashford Promise. If, at the end of that three weeks, they are not satisfied with the experience, they can elect to leave the University without incurring any cost or fees for the three weeks they attended classes. If a student is not passing their first class at the three-week point (which is half way through the first class), they are not permitted to continue. No tuition is charged or debt incurred. We are focused on protecting students’ right to use their VA education benefits and Tuition Assistance to pursue high-quality education at an institution whose faculty and staff understand their needs and are dedicated to their academic success. We’ll continue to update this website with up-to-date information as it becomes available. Discover all we’ve done to improve the military student experience, and the work we’ve done in the military community. This fact sheet discusses our military and veteran benefits, as well as shares a few veteran student success stories. What Ashford University means from those who matter the most – our students.